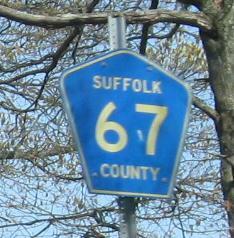 New York Roads - Suffolk CR 67 Vanderbilt Pkwy., Motor Pkwy. All photos taken eastbound except as noted. This sign (WB and EB faces respectively) will explain what's going on with this page. 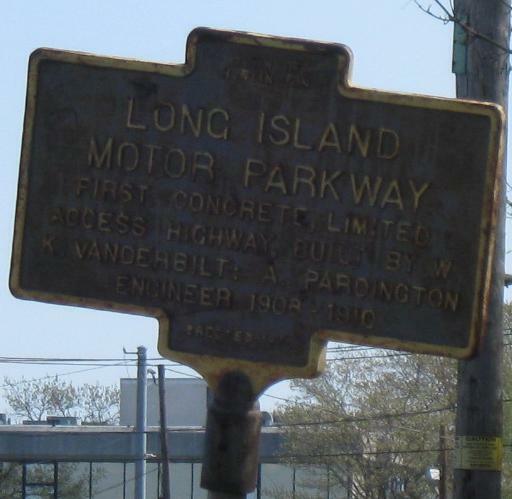 Some parts of the original Parkway are intact. 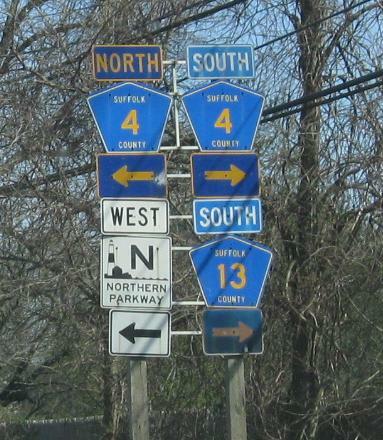 Some are barely traceable as rights of way, and some have been built over completely. 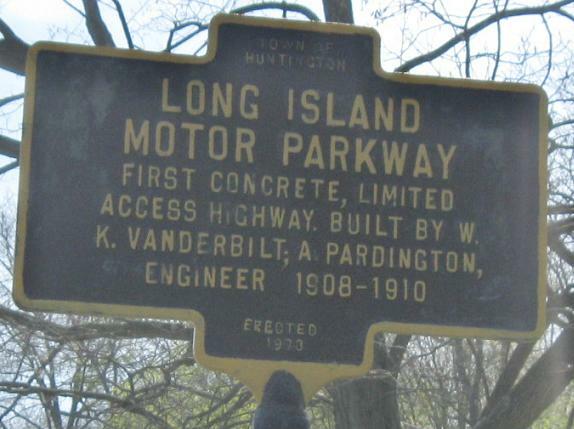 From the beginning of CR 67 onward, the Parkway was maintained as a public road until its end at Lake Ronkonkoma. 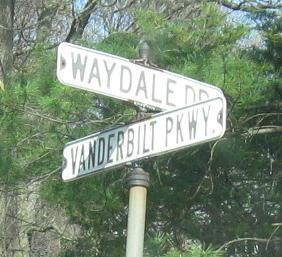 Embossed street sign evidence, wide shields with poorly applied outlines, mismatched directional banners. On the southwest corner with CR 4. 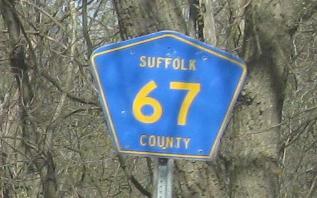 The CR 17 shields are older, but don't hold a candle to County Road 7. 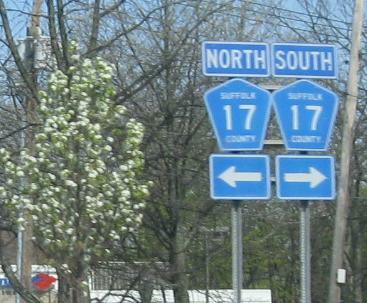 County Road shields are still fairly plentiful, but outdated and disappearing with every sign replacement. 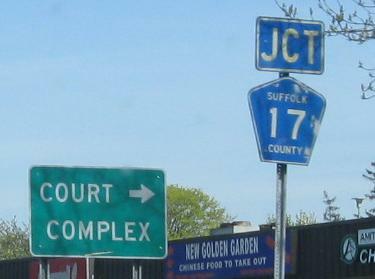 Even back then, Suffolk couldn't gauge the proper width of a shield, although occasionally, as in the case of CR 17, it got a few right. 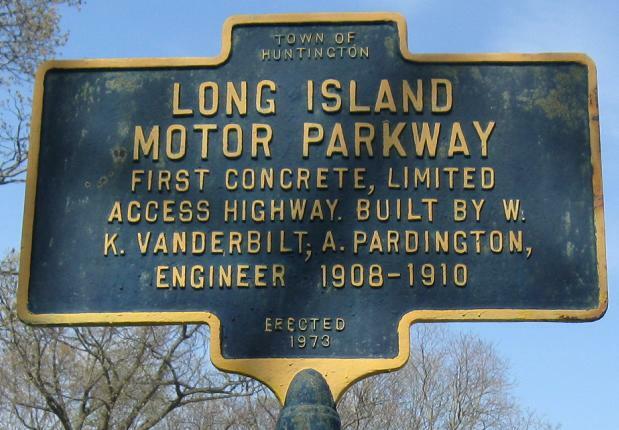 Some stretches of CR 67 are smooth, flat, gentle, and have no driveway or street interruptions, the closest you can ever get to feeling like you're driving on the original Long Island Motor Parkway. 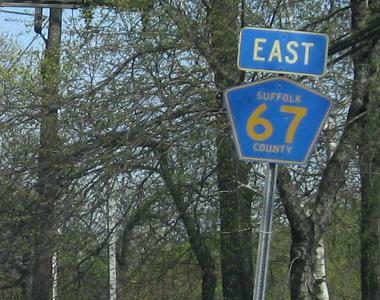 The last photo is the end of CR 67 and the original parkway. 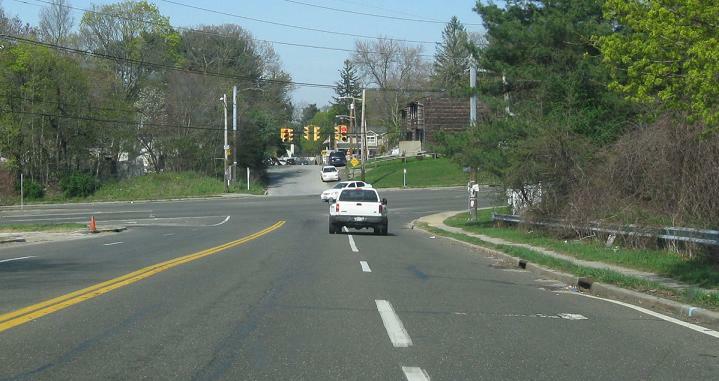 Lake Ronkonkoma is at the end of the dead end.